Vengeur Masque makes Caulfield Cup! European purchase Vengeur Masque has now officially made the Group 1 BMW Caulfield Cup field on Saturday with connections upbeat about the prospect of getting to the 2016 Melbourne Cup early next month. The scratchings of Fanatic and Big Memory have paved the way for second emergency Vengeur Masque who carries the minimum weight of 50.5kg and has drawn wide in barrier 16. Stable rider Patrick Moloney will take the mount and from barrier 16 Moroney will be looking to take a back position in the running. Cape Londonderry (Pentire) resumes on Saturday at Bendigo in the AgVantage UAV 0-68 Handicap over 1600m. 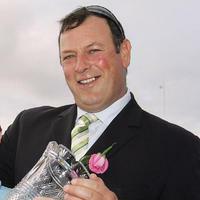 “It’s a nice starting point of a big roomy track and we’ll be happy if he’s coming home strong,” Moroney said. Shadow Fighter (I Am Invincible) will make his race debut at Wyong on Sunday, and on the back of an encouraging trial performance, the team are happy with his progress heading into race one on the card. “Koby Jennings rode him in the the trial so we’ve elected to stick with him – I think he’s a good winning chance.